Building on the huge success of the Act Six Leadership and Scholarship program Whitworth helped launch in 2002, the university is introducing the Act Six Academy program, an intensive leadership-training course and scholarship for 20 incoming freshmen from the Spokane and Seattle/Tacoma areas. Whitworth, in partnership with YMCA and the Northwest Leadership Foundation, is offering the academy program at no cost. Additionally, the program includes a $1,500 scholarship that increases by $500 per year for each participating student’s four years at Whitworth. “There are many, many strong student leaders out there who we can’t support through the traditional Act Six program, and the academy lets us reach more of them,” Greg Orwig, vice president of admissions and financial aid at Whitworth University, says. To help fund the 20 Act Six Academy Scholarships, Whitworth reduced the incoming cadre of Act Six Scholars from 10 to eight starting in the 2014-15 academic year. The academy program will allow more students to receive the benefits of the intensive pre-college leadership training and other support that the Act Six Leadership and Scholarship program has become known for. Other higher-education institutions that offer Act Six Academies include Pacific Lutheran University (Tacoma), Trinity Lutheran College (Everett), and Heritage University (Yakima). 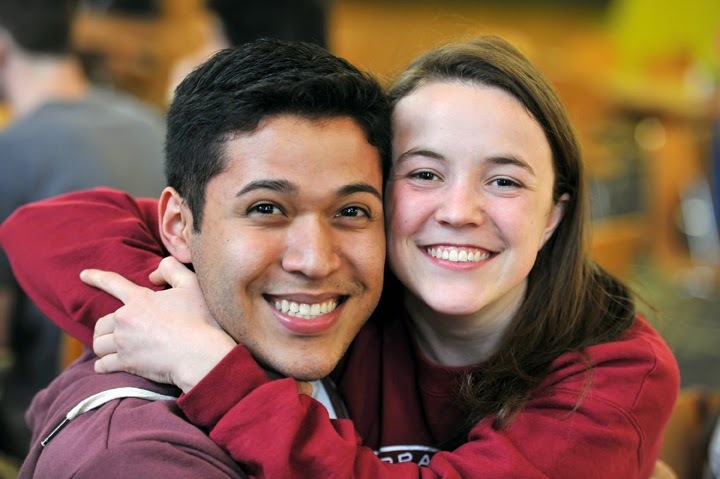 In the summer leading up to enrolling at Whitworth, Academy participants will engage in intensive training with an experienced community educator, build lasting relationships with other incoming Whitworth students and develop their leadership skills to make a positive impact on campus and in the surrounding community. In addition to the pre-college training and the scholarship, Whitworth Act Six Academy benefits include: invitation to Whitworth's Pre-Orientation Program, priority hiring for part-time campus employment in the Whitworth admissions office, regular academy team meetings with a campus-based mentor, and support from a dedicated community-based coach through your first year of college. Launched in 2002 by the Northwest Leadership Foundation in Tacoma, Act Six seeks to develop urban and community leaders to be agents of transformation on college campuses and in their home communities. To date, 90 percent of Act Six scholars have graduated or are still in enrolled in college – retention and graduation rates that far exceed national averages. Incoming freshmen who are admitted to Whitworth for the fall semester are encouraged to submit an Act Six Academy application by March 15. Students will be selected based on academic qualifications, financial need, leadership, and service experience, as well as on the ability to contribute to diversity, equity and inclusion at Whitworth. Students selected for the academy will have until May 1 to complete the Whitworth Academy Participation Agreement to hold their spot. For more information and to submit an application, visit: www.whitworth.edu/Academy.